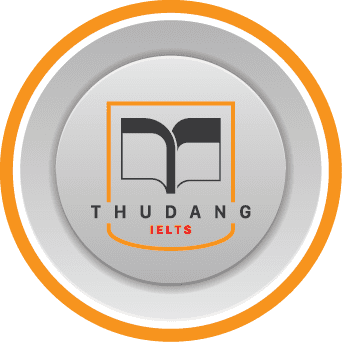 IELTS Thư Đặng- Prosource Việt Nam trong suốt một năm qua đã kịp thời cập nhật đề thi IELTS mới nhất để giúp cho các bạn học viên tại trung tâm có thêm nguồn tài liệu thi IELTS hiệu quả, cũng như làm quen với các format của bài thi IELTS- giúp các bạn chuẩn bị tốt tâm lý cho kỳ thi IELTS sắp tới. * Có thời gian tham khảo và tìm hiểu thêm về chiến thuật làm bài thi IELTS hiệu quả nhất. * Trau dồi từ vựng tiếng Anh theo chủ đề qua các bài thi IELTS thực tế 2016. Task 1: The table shows the positions held by woman in government and management in five different countries in 2000. Task 2: It is more important for schoolchildren to learn about local history than world history. To what extent do you agree or disagree? Task 2: Nowadays, more and more people read news on the internet. However, newspapers have most of important information sources of news. Give your opinion from your experience and give examples. Task 2: Some people believe government should spend money on building train and subway lines to reduce traffic congestion. Others think that building more and wider roads is the better way to reduce traffic congestion. Task 2: More and more young people from wealthy countries are spending a short time in communities in poorer countries doing unpaid work such as teaching or building houses.Why?Who benefit more from this, the community or these young people? Task 1: Process of recycling used paper. Task 2: In recent years, the family structure has changed, as well as family roles. What types of changes are occuring? Do you think these changes are positive and negative? Task 2: Nowadays, most large companies operate multi-nationally. To what extent those companies should have responsibility towards local communities in which they operate? Task 2: More and more people would like to pay more attention to the famous people who have achieved huge success in areas, such as cinema, sports. Why they attract much interest from people? Do you think it good or? Task 2: Some people think that it is good for a country’s culture to import foreign movies and TV programmes. Others think that it is better to produce these locally. Task 2: People in the community can buy cheaper products nowadays. Do advantages outweigh disadvantages? Task 2: It is impossible to help all people in the world, so governments should only focus on people in their own countries. To what extent do you agree or disagree? Task 2: Nowadays, more and more people decide to have children later in their life. What are the the reasons? Do advantages of this outweigh disadvantages? Task 2: It is observed that in many countries not enough students are choosing to study science subject. What are causes? And wat will be effects on society? Task 2: In developing countries, children in rural communities have less access to education. Some people believe that the problem can be solved by providing more schools and teachers, while others think that the problem can be solved by providing computers and Internet access. Discuss both views and give your own opinion. Task 2: Nowadays, young people admire media and sports stars though they often do not set a good example. Do you think this is a positive or negative development? Task 1: Table + Pie chart. Task 2: it is suggested that everyone should have a car, a television and a fridge. Do disadvantages of this development for society outweigh advantages? Task 2: Cycling is more environmentally friendly than other forms of transport. Why is it not popular in many places? And how to increase its popularity? Task 2: Some people think it is more important for government to spend public money on promoting healthy lifestyle in order to prevent illness than to spend it on the treatment of people who are already ill. To what extent do you agree or disagree? Task 2: Studies suggested that nowadays children watch much more television than they did in the past and spend less time on active or creative things.What are the reasons? And what measures should be taken to encourage children to spend more time on active or creative things? Task 2: Every day, millions of tons of food are wasted all over the world.Why do you think this is happening? And how can we solve this problem? Task 1: Table – the specific content of the cocoa bean production in six regions between 1992 and 1998. Task 2: In many countries, government spent a large amount of money on improving internet access. Why is it happening and do you think it is the most appropriate use of government money? Task 1: Map – Compare changes between 1960 and now in the Station street. Task 2: Many people say the gap between rich and poor people is wider, as rich people become richer and poor people grow poorer. What problems could this situation cause and what measures can be done to address those problem? Task 2: In many countries, people now wear Western clothes (suits, jeans) rather than traditional clothing. Why? Is this a positive or negative development. Task 2: Not so many people use a bicycle although it has many benefits. Why? How to encourage people to use bicycles as a main transport? Task 2: In some cities people are choosing cars instead of bicycles, while in other cities riding bikes are replacing cars. Why is this the case? Which development do you think is better? Task 2: With the rapid advancement of communication technology:: smart phones, tablets and other mobile devices, some people believe that the disadvantages outweigh the advantages. To what extent do you agree or disagree?To what extent do you agree or disagree? Task 2: Research has shown that overeating is as harmful as smoking. Therefore, the advertising of certain food products should be banned in the same way as the advertising of cigarettes in some countries.To what extent do you agree or disagree? accommodation, books, leisure food and others. Task 2: Fossil fuel is the main source of energy. In some countries, the use of alternative sources of energy is encouraged. Task 2: Some people think that men and women have different qualities. Therefore, some certain jobs are suitable for men and some jobs are suitable for women. To what extent do you agree or disagree? Task 2: Some people think that everyone has the right to have access to university education, and that government should make it free for all students no matter what financial background they have. To what extent do you agree or disagree with this opinion. Task 2: In many countries, more and more people choose to buy imported food rather than food produced locally. Why people buy imported food? What could be done to encourage people to buy local food? Task 2: Some children do not have the ability for learning languages. Therefore schools should not make children do that. Do you agree or disagree? Task 1: Map: transformation of a part of a village from 1910 to 2010. Task 2: some people say we do not need to use printed paper newspapers anymore? To what extent do you agree or disagree? Task 2: Advertisments are becoming more and more common in everyday life, is it a positive or negative development? Task 2: International travel has many advantages to both travellers and the country visited. Do the advantages outweigh disadvantages? Task 2: More people than ever before are travelling to other countries now. Why is this case? Is this a positive development or negative development? Task 2: Scientists believe that by studying behaviour of 3 years old children, we can predict if that child can become criminal in the future. To what extent is crime a product of human nature? Is it possible to stop children from growing to be a criminal? Task 2: Some people say young people playing electronic and computer games learn useful skills but some people say young people are wasting their time. Discuss and give opinion. Hoặc có thể gọi điện thoại trực tiếp qua hotline: 098.112.8422 để được tư vấn chiến thuật luyện thi IELTS Miễn phí nhé.